This blog series explores the steps involved in buying and selling a business, which tend to be much more complex than many business owners realize. In prior blog posts, I explained how due diligence comes into play, the nature of due diligence requests related to the structure of the business entity that is selling its assets and to financial information, due diligence as it relates to the seller’s customers and contracts, the importance of making inquiries in regard to insurance, and due diligence requests involving real and personal property. In this post, I will discuss due diligence requests related to intellectual property. Intellectual property may be the primary asset of the business to be sold. If intellectual property is at play in a purchase and sale transaction, the potential purchaser will likely make numerous requests for information and documentation in the due diligence process related to this issue. To start with, the purchaser will want to verify the seller’s ownership of its intellectual property by requesting documents evidencing the selling business’s patents, trademarks, copyrights, service marks, trade names, and any other types of intellectual property – related rights. Have any of these intellectual property rights been licensed to third parties? The savvy purchaser will want to know and will undoubtedly request copies of any license agreements. And, what about any licenses that the selling business may hold related to a third party’s intellectual property? A purchaser that is represented by counsel will likely request copies of these licenses as well, and will also make inquiries about how this intellectual property is being used in the business. Generally, a business that possesses intellectual property has a variety of written policies and procedures about how these assets should be handled. The seller should anticipate a due diligence request to provide copies of these policies and procedures. Were the employees required to sign nondisclosure or confidentiality agreements related to the intellectual property? If so, the purchaser will likely request copies of these agreements. Another consideration is infringement. 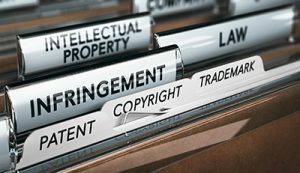 The purchaser will want to find out if there are any pending or potential infringement claims against the seller related to violations of a third party’s intellectual property ownership, and will make inquiries in this regard. And, on a related note, perhaps the selling business may be pursuing an infringement claim against a third party. The purchaser will want to know the details of this action as well. The purchaser may be stepping into the shoes of the seller in terms of enforcing those rights. If intellectual property is an asset that is being transferred pursuant to a business purchase and sale transaction, both the seller and the purchaser should be ready for many requests for information and documentation, and likely much dialogue and negotiation to follow. My next blog post will continue to discuss due diligence. Buying a Business? Don’t Get Taken to the Cleaners! My firm represents clients involved in the purchase and sale of small businesses . I find that both the buyers and the sellers in these transactions tend to underestimate the work involved, both on the legal side and the non-legal side. To illustrate, let me tell you a true story of my recent dry cleaning travails. Like many busy professionals, I have dry cleaning home pickup and delivery service. I’ve worked with the same dry cleaner for several years. I’ll call it “Acquired Dry Cleaner.” Recently, my dry cleaning was delivered to my home in completely different packaging than I was used to, and with a credit card receipt bearing a different dry cleaner’s name. I received no communication from the company as to what had occurred. When I needed to schedule my next dry cleaning pickup, I called Acquired Dry Cleaner. The person answering the telephone explained that the owner sold the business and suggested I call the new dry cleaners that had purchased it. So I did. When I called the new dry cleaner, which I’ll refer to as “Purchaser Dry Cleaner,” the assistant gathered my information, looked up my account, and promised to call back to inform me of my new pickup schedule. I never received a call back. After several days had gone by with no return call, I began researching new dry cleaners online. I found a dry cleaner that allowed me to request pickup and delivery services via either the cleaner’s website or a mobile app. I happily signed up and quickly scheduled my first pickup. A week later, Purchaser Dry Cleaner mailed me a confusing document labeled an “Invoice Manifest.” A manifest is normally used for commercial shipping transactions, not for dry cleaning. The manifest seemed like it was a bill for the previous dry cleaning order, even though I had already paid it by credit card. I looked at it, puzzled, and then put it into my document shredder. Then, a week after that, I received a letter from the owner of Purchaser Dry Cleaner, thanking me for choosing their business and asking me to call him with feedback on my experience. Rather than spending time providing the owner with feedback, I tossed his letter in the recycling bin and continued working with the new dry cleaner I found online. Can you imagine if Purchaser Dry Cleaner had committed the necessary time and energy to plan for the best way to transfer over the customers from Acquired Dry Cleaner? Suppose when Acquired Dry Cleaner delivered my last dry cleaning order, it included a friendly letter introducing me to Purchaser Dry Cleaner and explaining my next steps? Then, what if Purchaser Dry Cleaner had sent out its welcome letter within a week, rather than several weeks later? And, a critical point, suppose Purchaser Dry Cleaner had properly trained its employees, so that the employee answering my call could have told me what my new pickup schedule would be? 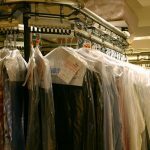 The bottom line is that Purchaser Dry Cleaner underestimated the time and effort needed to transfer customers over after the purchase and sale transaction closed. As a result, I’m sure I’m not the only customer who was lost. Purchaser Dry Cleaner likely paid for a customer base that, due to its own carelessness, did not materialize. Similarly, I find that businesses substantially underestimate the legal work needed in the purchase and sale process, which can cause tremendous hardship. I look forward in explaining more about the legal side of purchase and sales transactions in future blog posts.